0 Comment April 14, 2018 Like? This video reviews all of the new vMix 21 features with CEO Martin Sinclair and COO Tim Vandenberg. This year vMix has announced color grading with built-in waveform monitors and vectorscopes. The new color grading feature and independent streaming controls which allows the broadcaster to configure destinations live. This way vMix can do live stream “shout outs” instantaneously. Similar to the video editing software you may already be used to, vMix has built in support for color correction on live video sources. Anyone who is familiar with color grading film, will be immediately familiar with the new vMix color correction features. It allows you to do color matching between multiple cameras with professional video monitors tools such as Vector Scopes and Waveform Monitors. A vectorscope is a circle that represents the color of your camera image. It’s like an x and y graph representation of the color accuracy of your live video feed. At the top of a vectorscope you have red, toward the bottom you have cyan and there is also a green similar to what you have seen in color correction software. The vectorscope graph allows you to see the balance of the colors coming from your live video camera. To accurately tune your camera you can put up a color chart in your space and zoom into it with your camera. The vMix color chart will produce lines that connect your current image with the ideal colors. A vectorscope is a tool that is ideal for live video color correction without having to rely on your own eyes and inaccurate monitor representations of your video cameras image. The vectorscope is all about color and provides us with tools to accurately adjust our camera settings ideally on the camera side first. Once the camera has been accurately tuned the finishing color corrections can be done in vMix. The waveform monitor is the counterpart for the vectorscope available to handle brightness and exposure.With a waveform monitor, you can easily see if your image is clipping at the top or if the blacks are getting crushed. The waveform monitor will allow camera operators the ability to adjust the image preferably in the camera first to ensure your image has a good exposure. Using the waveform monitor to influence your camera settings adjustments, you want your camera’s image to be within the lines of your monitor. You can use vMix to make sure your video has perfect whites and blacks using the tools as needed. The color correction tools inside vMix have three (3) wheels which are used commonly in video editing software. The first wheel represents the blacks (shadows) also called lift, Gain also known as Gamma also known as mid tones, and the third wheel represents for the highlights and overall brightness of the image. Each wheel adjusts a particular part of your video image, so the first wheel is the dark areas, the middle areas which is usually skin tones is in the middle wheel and the final wheel is for the highlights and the brightness. Using the three components of the color correction wheels allows operators the ability to do fine color correction in an intuitive layout. You can use gain control, for example, to adjust the yellows just in the highlight of an image. The tool is similar to all of the other color correction tools out there today. vMix also announced 20X ZCam control in vMix 21 as well. Another tool built into the vMix color correction tool allows users to save preset files that can be uploaded to other vMix installations. This preset information can be useful for color matching cameras from different manufacturers. The preset will save your white balance information and can be applied to any input in vMix. Martin reminds us that these presets may not get your image 100% corrected because everyone’s exposures will be slightly different. One of the key things with color corrections is that most people try to all of the color correction and exposure inside the camera. Many times the highlights can be blown out before they even get into your video production software. Using a vectorscope and waveform monitor you can bring down the range of your camera to make sure that you are not clipping. These tools make sure that you are not crushing the blacks or overexposing the whites with the settings in your camera. The waveform monitor specifically allows users to stretch the exposure to the perfect white and black settings. What is the upgrade cost going to be to get all the new features to vMix 21? It’s going to be free! All of the vMix color correction tools include multiple views for image side by side with the vectorscopes and/or waveform monitor. This allows vMix users to view their camera right next to the graphical tools for color correction. Along with the live view monitoring the color corrections inside, vMix can be toggled on and off which is helpful to see the effect on your camera image. Social Streaming 9:16 & 1:1 Support! Vertical Streaming is now also supported in vMix 21 along with the 9:16 portrait video and 1:1 square ratio. This allows broadcasters to send multiple RTMP streams all in various resolutions for mobile support. Tim Vandenberg explained an example where broadcasters are sending widescreen 16:9 video to YouTube and 1:1 square video to Facebook. Another small but important new feature in vMix is the ability to disable Windows Updates while vMix is running. vMix will usually be running on Windows 7, 8 or 10 and using (hopefully) the majority of your computer’s processing power. Many times video production processing speeds can actually be slowed down by Windows Updates. Is there any chance of vMix building in NDI for PTZ control? Currently, NDI does not support absolute camera controls. All of the new NewTek NDI HX cameras are supported by vMix with the standard camera. The relative PTZ controls inside the NewTek NDI protocol used in the Studio Monitor stores PTZ camera presets inside the camera. vMix uses absolute controls to query exactly where the PTZ camera is to recall position. The Beta for vMix 21 will be available on the Fun Time Live show at the end of April 2018. Here’s how you can do a multi-camera instant replay with vMix here. Check out our review of Wirecast 8 vs vMix 20 here. 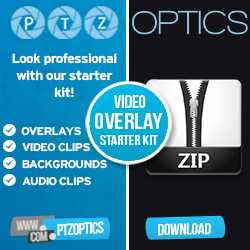 How to setup Tally Lights with PTZOptics cameras in vMix here. Learn how to automate pan, tilt, zoom controls in vMix here. How to use vMix data sources here. MimoLive adds PTZ camera control into their live streaming software here. Is cloud-based video production software the future of live streaming? More here. iPad camera control in vMix here. How to setup xKeys inside vMix here. Multi-Casting w/ vMix and NDI - learn more here. How to control PTZ Cameras in vMix here.